Julie Talaski is the Rural Schools Coordinator. 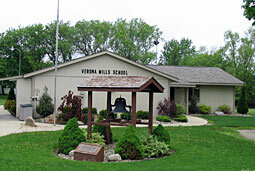 Verona Mills School's official school name is Verona Township District No. 1 Frl.